Not only flashing a gorgeous smile, she is also dancing in unison with a large group of men and women representing the unique culture of the Solomon Islands province of Makira at the 11th Festival of Pacific Arts. Held once every four years and running these past two weeks in the Solomon Islands, this festival has brought together cultural groups from across the great Pacific – from Papua New Guinea to Easter Island. A dizzyingly colourful celebration of Pacific culture both traditional and contemporary, Wycliffe and its partner organizations have been participating by offering workshops and celebrating the languages of the Pacific. A Bible storytelling workshop demonstrated how the oral tradition of sharing stories can be used to share God’s story. An ethno-arts workshop encouraged Christian artists to redeem their traditional arts to use in worship. A large number of people have poured over the language maps and considered Bible translation for the first time as they encountered the ‘Languages of the Pacific’ booth. God made Pacific Islanders wonderfully and fearfully and this festival can’t help but flaunt it. Thanks alot for the inspiring message about the Solomon Islands. 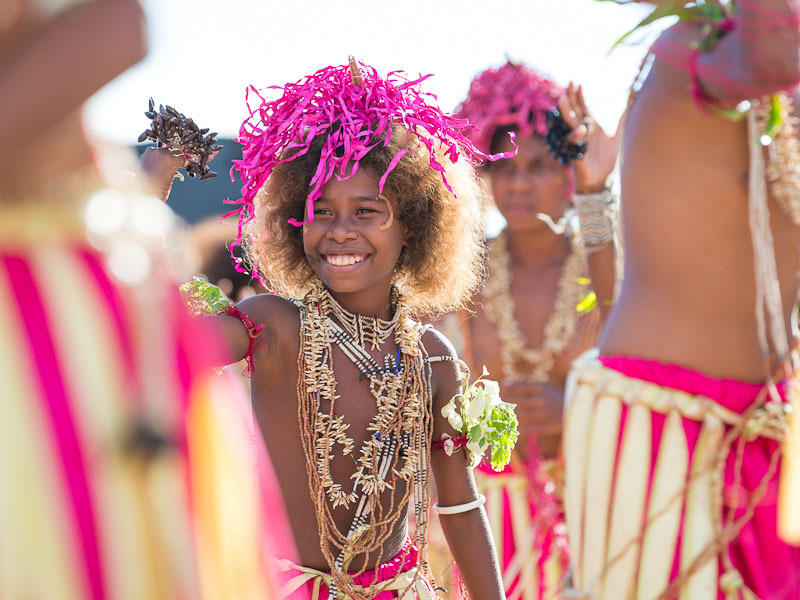 This picture really depicts the beautiful people of the Solomon Islands and the rest of the Pacific during the Festival of the Pacific Arts 2012 in Honiara. Great if you want to share your story about your time in the Solomon Islands, you can email to my e magazine (Foot Print Travels and Destinations) which is distributed nationally and internationally on monthly basis. My email: oligaon@yahoo.com.au. Pingback: Un sourire ne coûte rien et produit beaucoup. Démonstration en 18 clichés qui donnent la pêche !